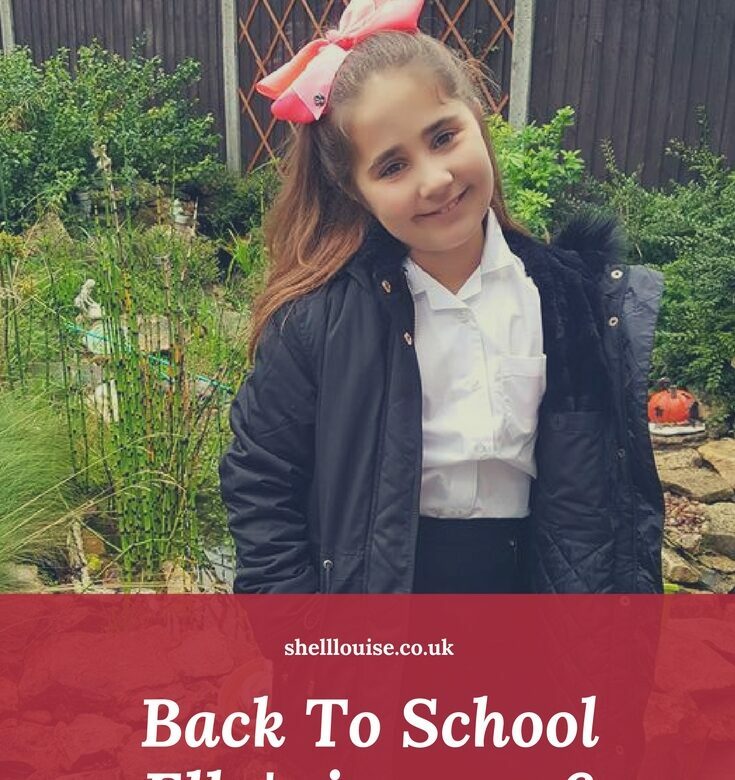 Ella’s starting back to school today in year 6. This means it’s her last year at this school. I can’t believe she’ll be going to secondary school next year! She’s growing up far too fast for my liking! She was excited to be going back to school this morning. Kaycee made a fuss of her by getting up early and making her a cooked breakfast for when she woke up! She also did her hair for her, made her lunch and made sure she didn’t forget anything! Kaycee’s not back at school until Thursday so she had plenty of time to do it all today. Ella asked Kaycee if she could make her lunch every day. Her answer was definitely not! She has to leave much earlier than Ella when she’s at school and she only just has time to get herself sorted! It was lovely seeing them getting on nicely this morning, for a change! Aww! My girl has gone into year 6 too. It’s such a big year for them. I think it’s going to be emotional. Eek!